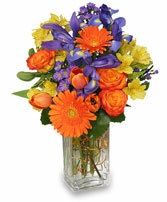 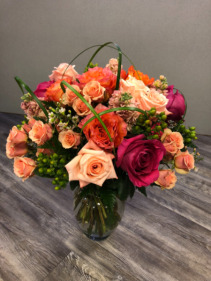 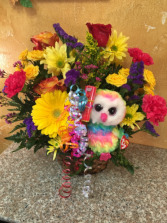 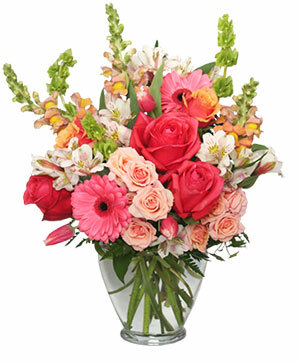 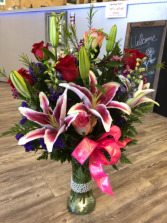 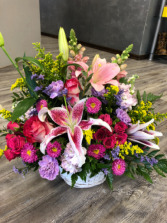 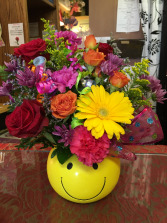 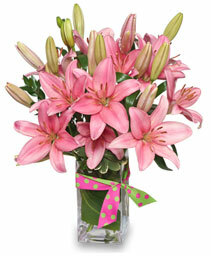 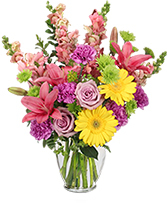 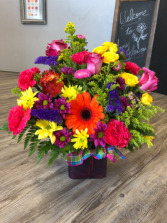 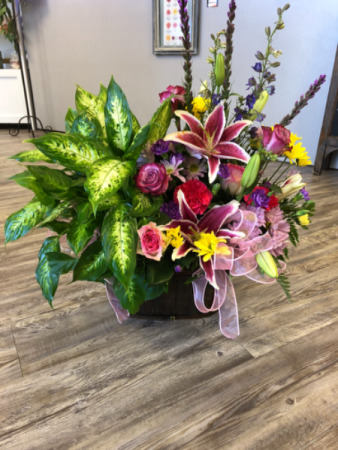 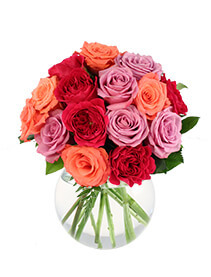 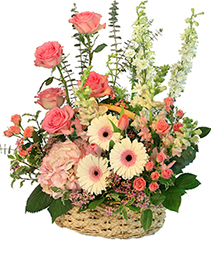 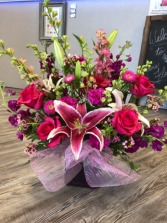 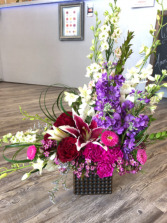 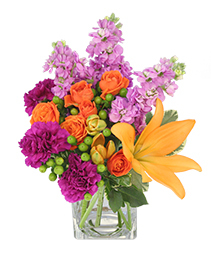 All Around Arrangement With Two Colors Of Roses And Peach Spray Roses, Berries, Stock, Carnations And Lily Grass. 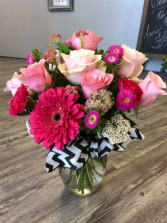 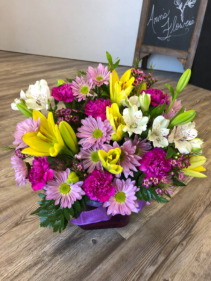 Pink Blended Roses, Hot Pink Gerbra, Hot Pink Carnations And Filler. 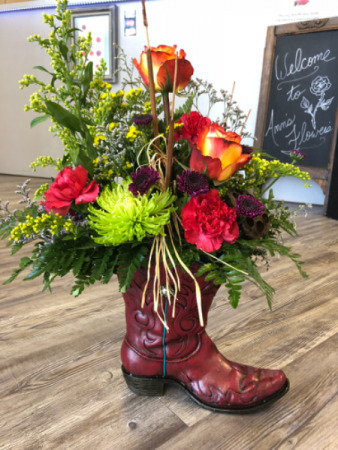 Keepsake boot container design with roses, Carnations, spider mum and mix fillers.